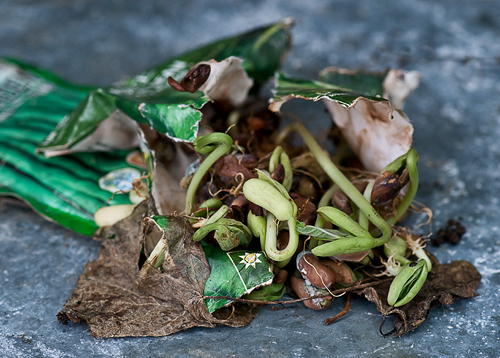 I just updated my Green Spring Gardens-only portfolio on my Zenfolio site. Green Spring Gardens is an endless source of photographic inspiration to me, so I’ve dedicated a folder exclusively to images shot there. Check out that gallery here. As we’re heading into fall, there are still a few plants left to photograph in my own garden, such as the tiny Speckled Miyazaki Toad Lily (Tricyrtis hirta ‘Miyazaki’), Autumn Joy Sedum (Sedum telephium) and Shasta Daisies (Chrysanthemum maximum) that are blooming in the front yard. Even my Globe Thistle (Echinops Ritro) has started putting out blooms again, which I find odd at this point in the gardening season—I suppose it has something to do with the inordinate amount of rain and consistently temperate days we’ve had here in Northern Virginia. 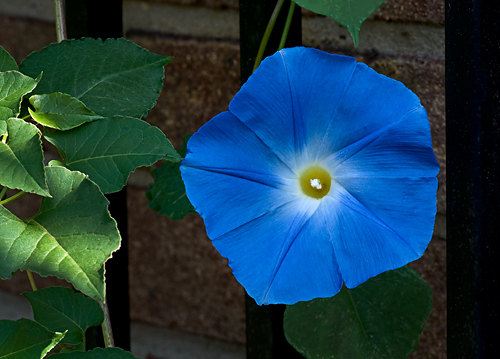 Beginning a week ago, the Heavenly Blue Morning Glory vines in the front yard have produced a single, bedazzingly blue bloom each morning, mingling with the garish red and yellow combo of the Butterly Weed (Asclepias tuberosa) plants nearby. The Morning Glory vines reseed each year with no assistance from me, so I stopped planting new seeds a few years ago! Learn “How to Grow Your Garden Photography Skills” in my recent photo feature for Nikon’s Learn & Explore section here.